I’m excited to start a new series where I’ll share my healthy weekly meal plans that are Weight Watchers and family friendly! Meal planning is not something that comes easy for me. Some weeks I’m on top of my game and I make a grocery list and have a plan, but most weeks I’m flying by the seat of my pants to be 100% honest with you. Last week was one of those weeks, and to be honest… it just felt awful. 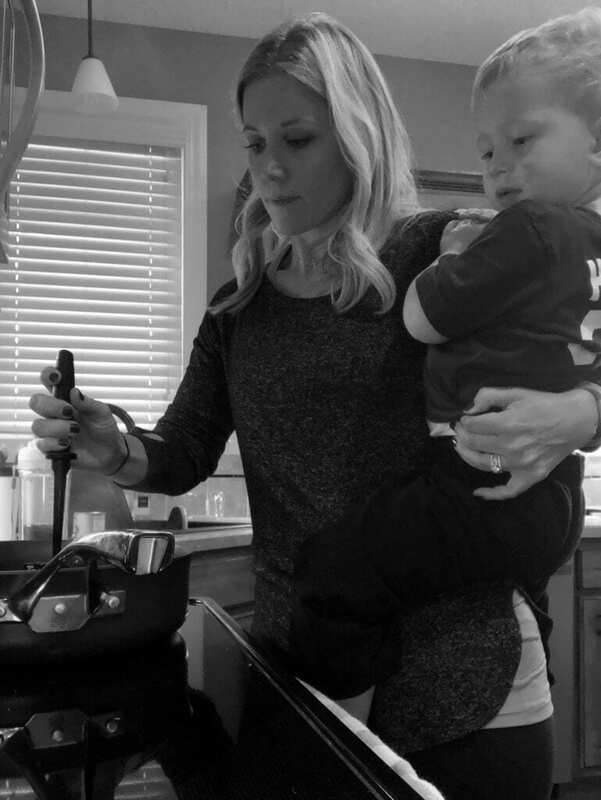 Every night I was scrambling to get dinner on the table by the time my husband got home from work with a toddler on my hip and a hungry kindergartner and I just felt really overwhelmed. I got impatient and frustrated with my children, and to be honest, it wasn’t their fault. It was mine. I told my husband I HAVE to make meal planning a priority. What better way to hold myself accountable than to share my weekly meal plan with you! When I plan our meals I might do it differently than most. I make a list of the recipes I’ll make during the week, but they aren’t “assigned” to a specific day. I also plan one week at a time. I may work up to every other week, but if I know I have to go to the store once a week for produce, it works for me to just plan one week at a time. Each week my plan is to list recipes that we’ll eat during the week. I’ll break it down into two categories- lunches and dinners. That may make some of you crazy, but I hope it encourages some of you, too 🙂 Feeding our families healthy meals doesn’t have to be difficult. Meal planning can be so overwhelming, and I don’t want it to be. So, will you join me in making it a little less “scary” and taking it one week at a time? Financially I need to be more intentional with our grocery bill so this is another reason I’m deciding to share our meal plans with you. When I go to the store with a plan and a list, I ALWAYS spend less money. Always. 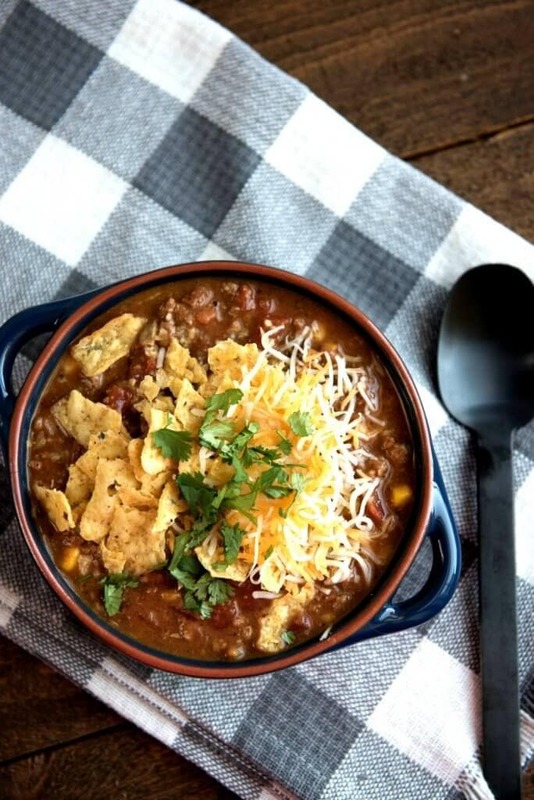 Slow Cooker Gourmet Taco Soup– I love this recipe. During the fall/winter it is a weekly staple. Plus, I can have 1 cup for only 3 Weight Watchers Smart Points so it’s a satisfying meal that is low points. Depending on how many points I want to spend on lunch, I may add tortilla chips and/or 1/2oz of cheese. Turkey Taco Bowls- This is one of my favorite go-to lunches inspired by the blogger, Sweet Peas and Saffron. I brown up some ground turkey with homemade taco seasoning and serve it with rice, salsa and cheese. You could easily add lettuce, tomato salsa, sour cream, etc. If I have extra points to spend, I may add some tortilla chips as well. This lunch always leaves me satisfied and is so easy to heat up and make ahead of time so lunch can be a no-brainer. Since I make these recipes up ahead of time and leave them in the fridge I need lots of containers! I prefer glass containers because I feel like they stay in good condition for much longer than plastic ones. These are my favorite Pyrex dishes to use for leftovers. 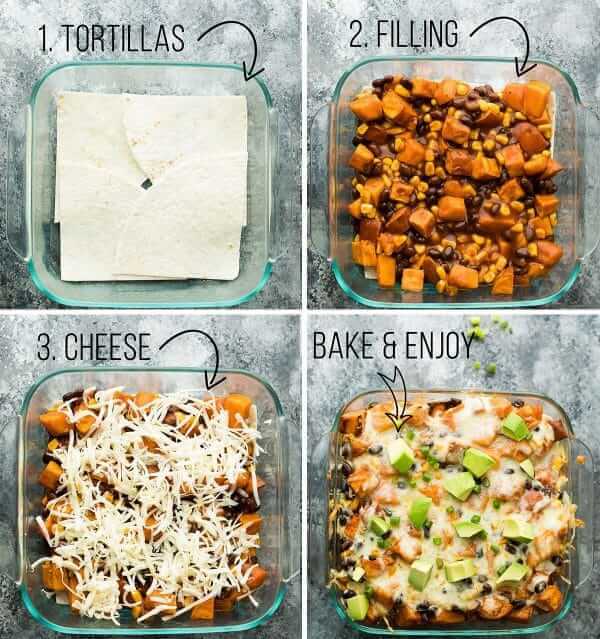 Butternut Squash Enchilada Casserole- I’ve never made this recipe so I’m excited to give it a try! Vegetables are hard for me, so when it’s incorporated into the casserole it makes me happy! UPDATE: I made this tonight and made a few changes so I wanted to update you on how I prepared it. I used 3 Ole Extreme Wellness Tortillas, 15oz of canned black beans, 15.25oz canned corn and 1 cup 2% Kraft Colby & Monterrey Jack cheese. I baked it in an 8×8 pan and it came out to 6 servings at 7 smart points each. I loved it. It had some kick to it, so neither of my boys liked it. I may reduce the amount of enchilada sauce next time, but I’ll make this again for myself for sure. 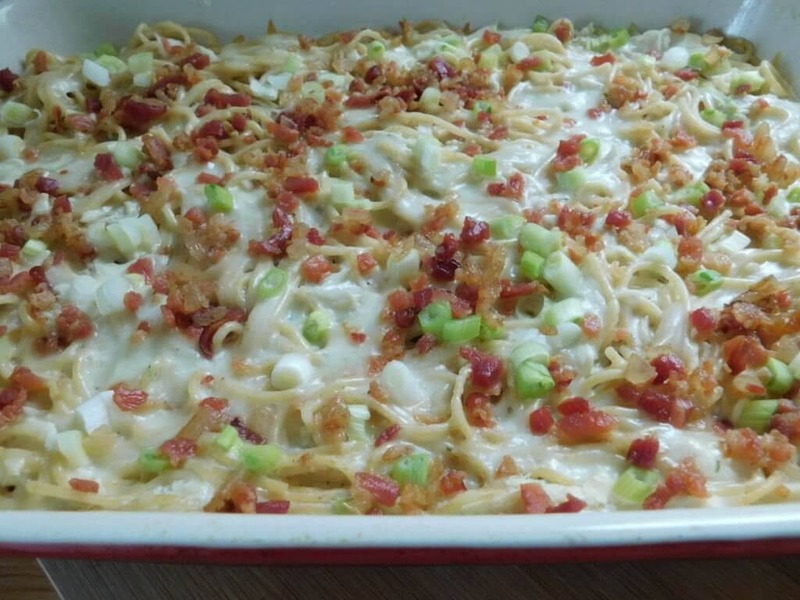 Chicken Ranch Spaghetti Bake- A fellow Weight Watchers friend made this recently and raved about it, so I’m adding it to my list this week! I’m hoping this is one that will be a hit with my boys, and it’s only 7 smart points per serving. 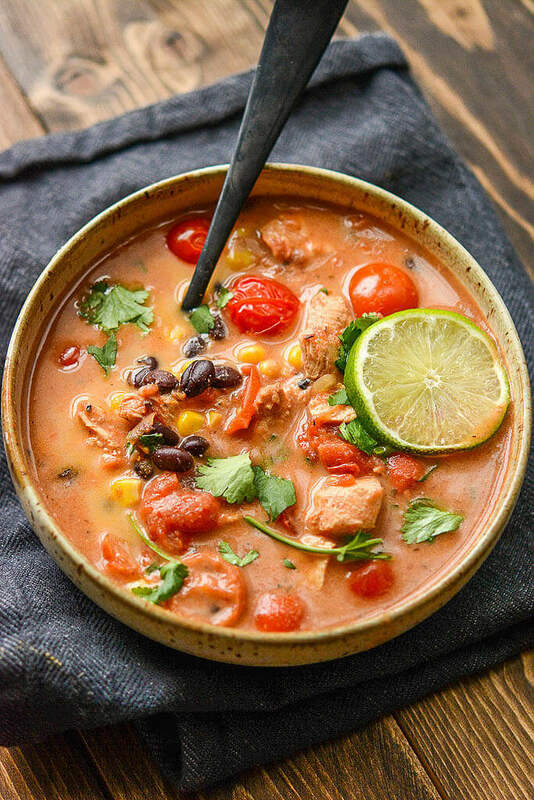 Slow Cooker Enchilada Soup- Slow cooker meals are my jam. I use it all year and it makes dinner time so much easier in my opinion. The 5 o’clock hour seems to be hardest for my boys, so if I am having to make dinner during that time, we all end up frustrated. That doesn’t mean I don’t do it, but when I can make a slow cooker meal I always prefer it! I haven’t calculated the Smart Points for this recipe yet, but will when I make it. 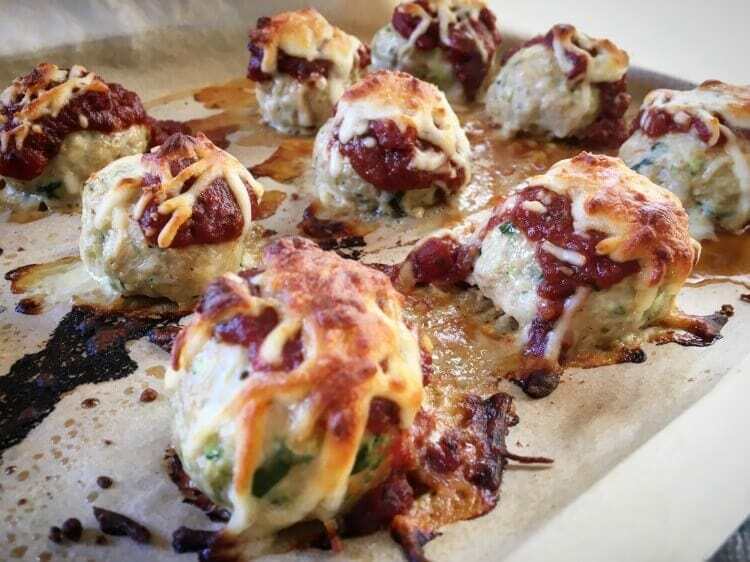 Chicken Parmesan Meatballs- My husband LOVES meatballs. I’m pretty sure they are his favorite food, so I’m excited to give these a try this week! And, 3 meatballs for 6 Smart Points?!? YES! UPDATE: I made these with 99/1 ground chicken and I used Trader Joe’s lite mozzarella so it made each of my meatballs 1 smart point each. My entire family enjoyed them! 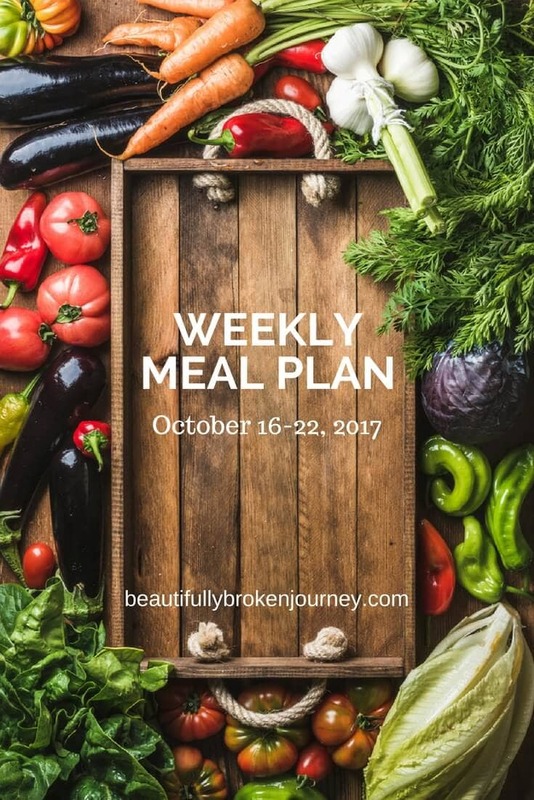 I’m so excited for this new series sharing my weekly meal plan! Let me know if you try any of these recipes and what you think! Let’s make it a great week, friends!! -I calculated all Weight Watchers Smart Points using the WW app. In the first Recipe it’s calls for homemade taco seasoning and ranch seasoning…. How do you make that? Here is a direct link for the homemade seasonings. Hope you enjoy them, Sara! These recipes all look amazing! I’m so happy that you are adding weekly recipes to your blog. SO good to hear! Nobody likes boring! Hope this helps! I’m so glad you are as excited about this as I am, Liz!! Thank you, thank you for keeping it real (and simple). 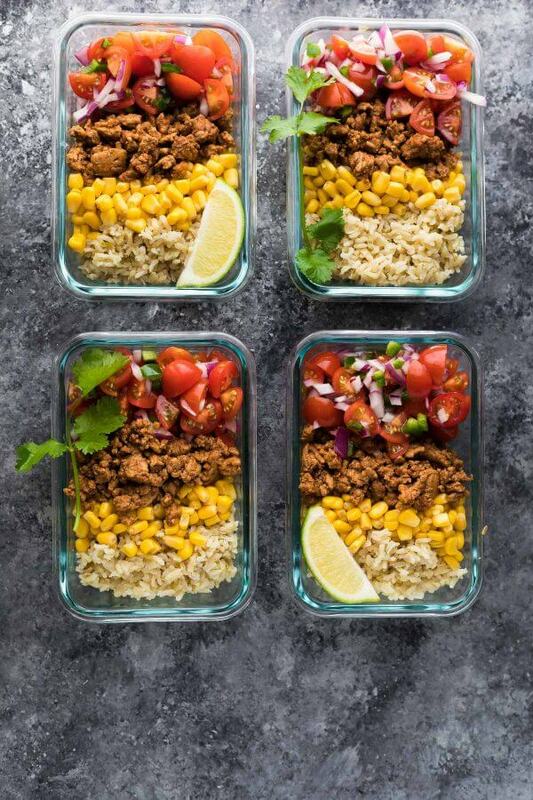 As a full time working momma this inspires me to believe that I can make quick and healthy meals without all of the stress of major meal prep and planning. I love your simplicity and format. I’m working to get back on track with WW and I have a long journey ahead. Thank you! Real and simple is important to me! Hope these weekly plans help you, Alicia! Thanks for these recipes! I am always on the look out for a new recipes to try. All looks wonderful. Thank you for taking the time in your busy life to do this. I’m so glad you are looking forward to this, Lacy! Hope it helps! I have the Slow Cooker Gourmet Taco Soup in the slow cooker as we speak. I can’t wait to try it!!! Yay! I have a hunch you are going to love it, Lacy! I hope it helps you, Lacy!! Taco soup was absolutely awesome! My hubby loved it! I’m so glad you loved it, Phyllis!